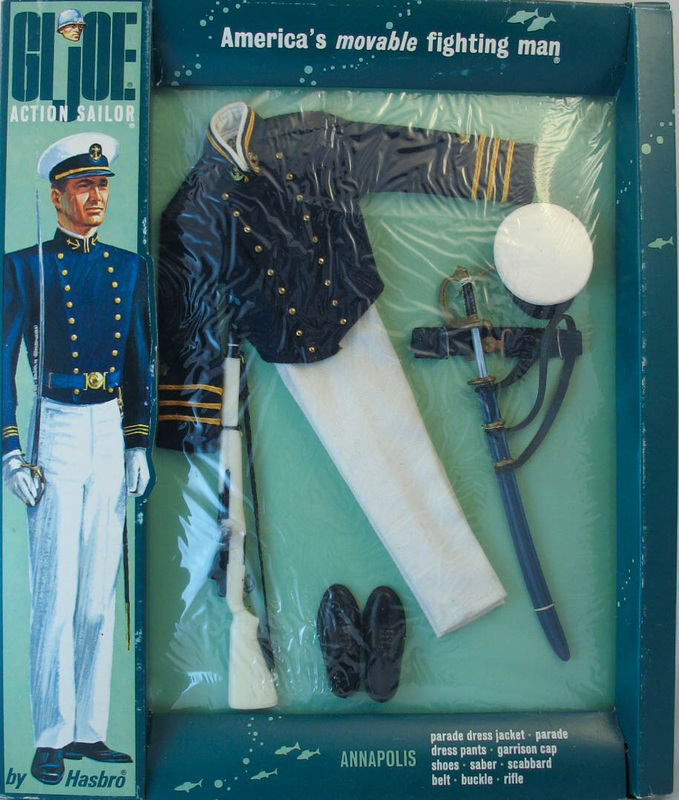 The Annapolis Cadet (7624) features a beautiful uniform and a saber, scabbard, and sword belt that can be tough to find. The 1967 window box (above) and the photo box cover (below). These fit together, and the pair shown is an example of the use of a photo box lid being used to cover the window box from the previous year, a bonus find for collectors. A close-up of the Cadet (above). The brass star insignia on the sleeves is a beautiful detail. 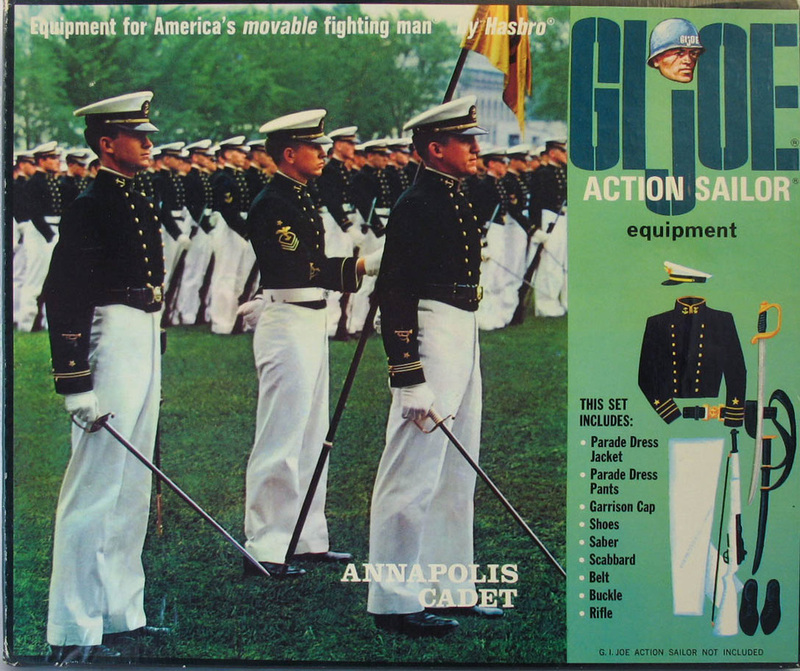 Below, the Annapolis Cadet poses with his pals from West Point and the Air Academy.